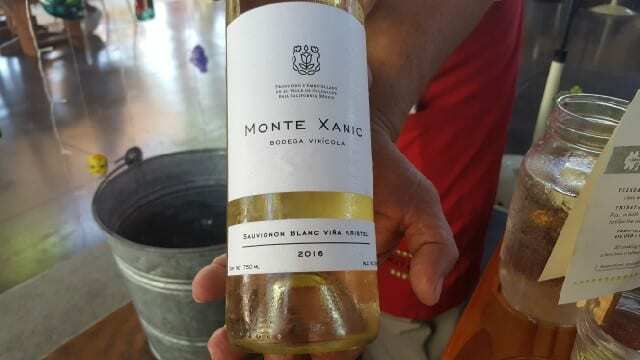 The Monte Xanic 2016 Sauvignon Blanc is a straw gold color with a green tinge. Tiny little bubbles show the youthfulness of the wine which looks like it is jumping within the glass. Putting my nose to the glass, fruit aromas rush to the front. We are not talking New Zealand Sauvignon Blanc with strong aromas of gooseberry and green grass. Rather, citrus notes such as lemon and passion fruit and tropical notes such as pineapple are all in the glass, as well as a sour-patch character. On the palate, the wine is subtler. It fills the palate and coats the tongue with notes of sour lemon. There is medium acidity and a medium finish. But just when you think you have finished tasting the wine, your mouth will water, and you will want another sip. The Monte Xanic 2016 Chenin-Colombard offers a bit more body than the Sauvignon Blanc. A pale gold color, it is made with 98% Chenin Blanc and 2% Colombard. The wine has aromas of red apple, apple skins, lemon and notes of hibiscus flower. The wine hits the front of the palate with notes of lemon and tart pineapple and then tucks under the tongue, making the mouth water. The elegance in the nose of the wine and delicate acidity on the palate make me crave food. The Monte Xanic Chardonnay 2015 is a bright yellow-gold color with aromas of lemon curd, apple, passion fruit and brown spices. The wine hits the back of the palate, leaving a little tingle of acidity on the front of the palate. More fruit driven than other Chardonnays, I enjoyed this wine over two days and found the wine opened up more on the second day, expressing notes of pear and lemon. 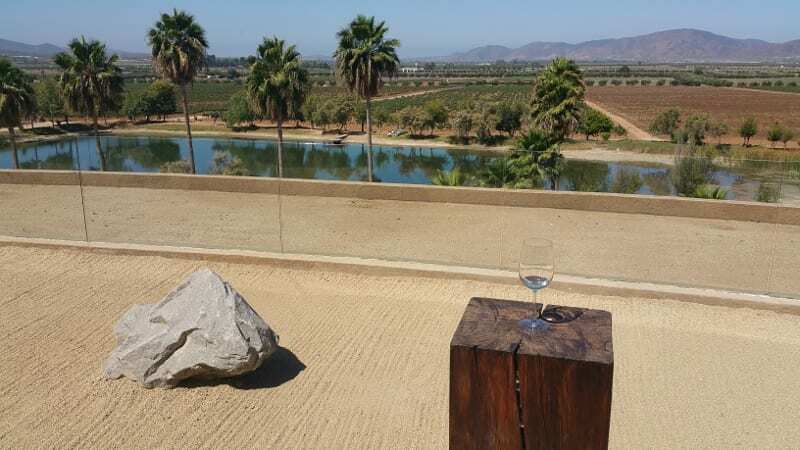 Located 15 miles from the coast, the Valle de Guadalupe experiences hot and dry summers, little rain and a breeze that travels in from the coast. These conditions make the area also conducive to ripening red grapes and the Monte Xanic red wines are fruit driven but not over the top. The Monte Xanic 2016 Cabernet Sauvignon-Merlot is made with 65% Cabernet Sauvignon and 35% Merlot. The wine is a beautiful deep cranberry red color. On the nose, the aromas are intense. There are notes of blackberry, raspberry, pomegranate, sweet tobacco, cedar box and brown spices. On the palate, the wine has soft tannins and the fruits and bramble notes prevail. The acidity is fresh and makes the mouth water, wanting a second sip. I saved my Monte Xanic Calixa 2016 Cabernet Sauvignon-Syrah, made with 80% Cabernet Sauvignon and 20% Syrah, for a rainy day. A vivid cherry red color, just the color of the wine brightened my day. The aromas of dark cherries, plum, cassis and raspberry jump out of the glass, dominating the vanilla, licorice and spices that poke through. While the nose is quite big on this wine, the palate is less aggressive. This is just a drinkable wine. 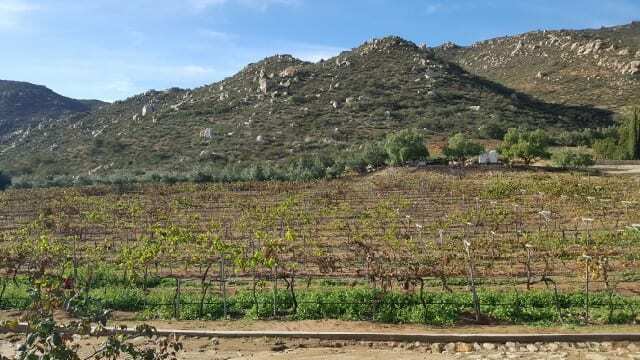 As I drink the wines of Monte Xanic, not only do I dream about returning to the Valle de Guadalupe but I am also happy to know that a percentage of ALL of the wine sales goes to Orphanages in Baja. For more information, visit Baja United Group. This entry was posted in Wine and tagged Baja California, Baja United Group, Baja winery, Mexican wine, Mexico, Monte Xanic, Monte Xanic-Bodega Vinicola, Valle de Guadalupe, Wine by Allison Levine.